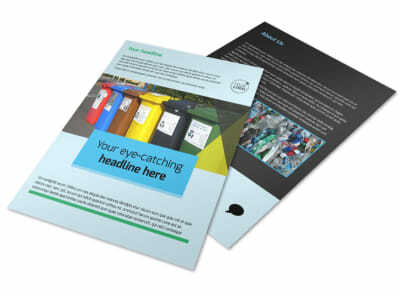 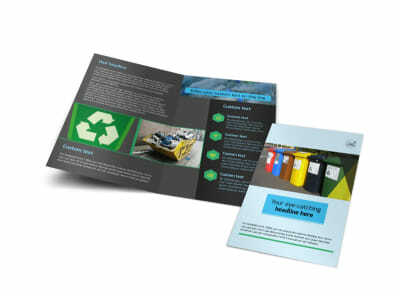 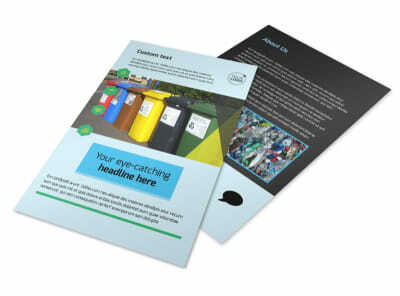 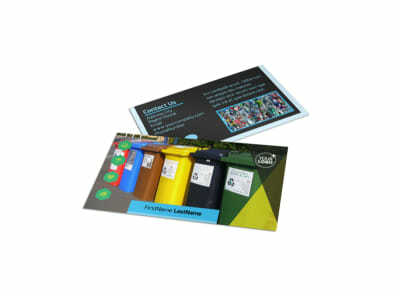 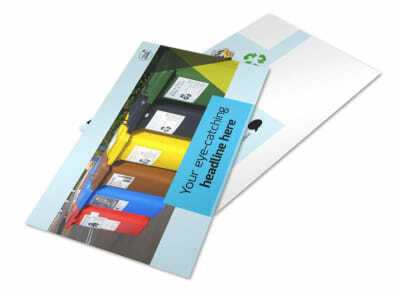 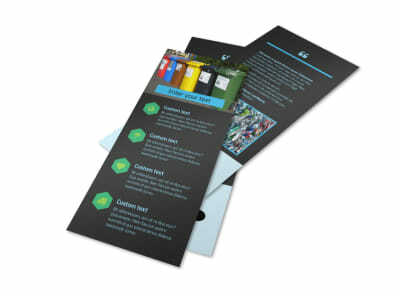 Customize our Waste Disposal Brochure Template and more! 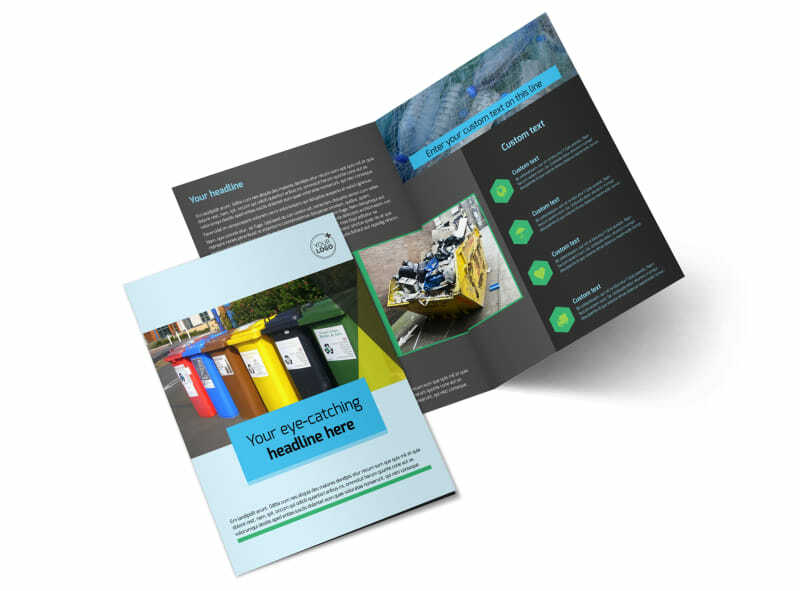 Explain how proper waste disposal benefits our environment with waste disposal brochures made with the use of our online editing tool. 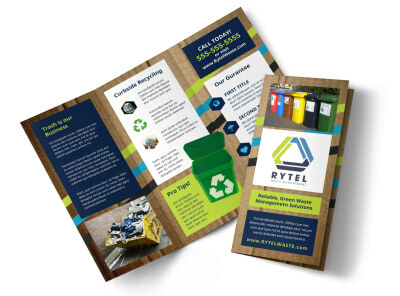 Customize a bifold or trifold template with relevant images, text, and more. 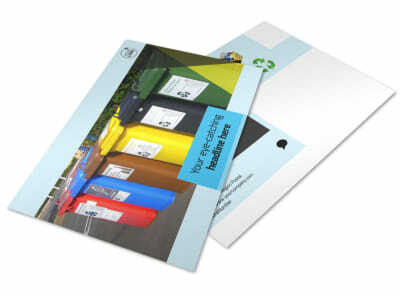 Print from any location or leave that part to us so you can focus on saving the environment.